Lots of vanilla on the nose with some fruity apricot and grass. Taste is smooth and sweet, mouthfeel is light and slightly slick with oil. Apricot stands out the most, lots of apricot, with some vanilla and lastly a nice sea spray. It reminds me of walking out on an old dock with sea mist spraying my face while eating an apricot. Finish is wet and sweet. Absolutely delicious dram. Complex, fruity, great flavor transitions. Arran 14 Year Old So Creamy . . . I think your Ardbeg 10 review is right on, but you seem to be an outlier on the Arran 14 @casualtorture. If I throw out the high score (yours) and the low score, the average is 85. Half a dozen of connosr's most credible reviewers put this one in the mid to high 80s. These reviews are, of course, quite subjective and I'm glad you find something more appealing than most about this Arran. @BlueNote you may be right, but this is by far the best single malt I have had. Keep in mind that I am a relatively new scotch drinker, only about 2 years. I'm sure my palate needs evolving. I'm not an expert on this by any means. So I have only tried around 10 or 15 different bottles, but this one definitely stands out to me as the best of what I have had. By far. I approach Arrans with an open mind and a good dose of caution... My first was an SMWS IB which was fantastic. I then cast my eye on a similarly aged CS OB. But I tried another OB mini and then a sample of the actual batch, and decided to give it a pass. 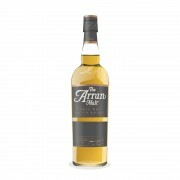 @casualtorture, I am a fan of Arran 14 yo too. Not 98 points worth, but what I have had was worth 92-94 points to me. If it always tastes as good as what I have had, then it is one excellent whisky. As for other Arran, the Sauternes Finish I've had has been excellent, the sherry finish good to very good, the Amarone finish very good one batch, awful another batch, and the 10 yo standard is one I really have never liked. @Victor glad you have tried all of those to let me know which to try next. The Port cask was a bit sweet for me. Their Machrie Moor 4th edition was good, very light and slightly peated. I think I liked Ardbeg 10 better though. More body, more peat. The 2 bottles of the 14 I got were a different league altogether. So good. And when it comes to unpeated whisky I seem to prefer the lighter island whiskies. @Casuatorture then let me recommend you try, if you can find it, Redbreast 12 YO CS. Full flavour yet not heavy. This is wonderful whisky. I can't recommend it enough, especially to those who enjoy the quality of Compass Box offerings. Not bombastic at all, just a subtly great drink. I ran through my last bottle in no time at all. Scary good (as in I hope they don't f... it up).